The appointment of Priyanka Gandhi as a general secretary of Indian National Congress and in-charge of Uttar Pradesh (East) on January 23 has been greeted by Congress leaders and workers alike along with some regional parties also joining the chorus. However, the BJP has been critical of this development. Undoubtedly, Priyanka’s appointment puts an end to past years of speculations over her entry into active politics; nevertheless, she has been active in UP politics, leading election campaigns for her mother and brother for the past many years. This new role, Priyanka is expected to assume from February this year, opens the doors for her to contest the upcoming Lok Sabha elections from a family stronghold in UP amid speculations that she may succeed her mother and former Congress chief Sonia Gandhi in Rae Bareli. As the age-old adage goes that uneasy lies the head that wears the crown; Priyanka’s new assignment is full of challenges in the wake of a depleted party organization and the absence of a core support base for the party in UP. 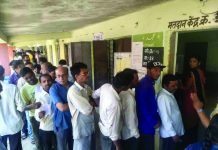 According to some experts, Congress’s traditional support base in UP amongst Brahmins, Muslims and Dalits has completely drifted away from the party in the last three decades — with Brahmins, who constitute around 10 per cent of the state population, supporting BJP; Dalits, who constitute 20 per cent of the state population, having been weaned away by the BSP and Muslims, who constitute 18 per cent of the state population have often voted for Samajwadi Party. Interestingly, Priyanka’s appointment comes at a time when the Congress party has been kept out of the recently-concluded alliance between SP and BSP. Priyanka Gandhi certainly faces an uphill task of reviving Congress party in the upcoming most crucial Lok Sabha election, especially at a time when the party is struggling to regain salience at the national level in the aftermath of its recent electoral victory in three Hindi heartland states of Chhattisgarh, Madhya Pradesh and Rajasthan. Congress also faces a formidable challenge from the Modi-Shah duo led BJP not only in UP but in other northern states as well. Concurrently, Congress leadership is well aware of the fact that it cannot mount a serios challenge to the BJP unless it manages to improve its performance in UP. The BJP has scoffed at the appointment of Priyanka Gandhi and has called the move as an admission of failure on the part of Congress president Rahul Gandhi. Prime Minister Modi’s criticism of the Congress over dynastic politics has been reechoed by many senior BJP leaders at the national and state level. Many BJP spokespersons have ruled out the possibility of Priyanka posing any threat to the party in UP. The BJP has also launched its tirade against Priyanka using her husband Robert Vadra’s alleged involvement in certain suspicious property deals. Reacting to the BJP’s criticism of dynastic politics by Congress, one critic has pointed out that BJP will have credibility to mount such a criticism only if it estranges allies like Akali Dal, Shiva Sena, Apna Dal, which are also afflicted with dynastic politics. 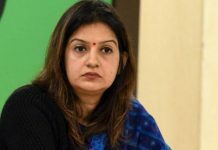 Another expert has opined that it does not bode well for the BJP to make political use of Vadra case in the wake of its failure to unravel the truth in these allegations. 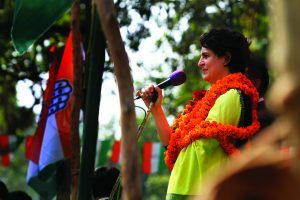 Priyanka Gandhi’s plunge into active politics is perceived by the Congress party cadre in Uttar Pradesh as a game changer for the party ahead of the Lok Sabha elections. She has been tasked to look after eastern UP, which as per Congress’s organizational structure, comprises 40 Lok Sabha constituencies, including VIP constituencies like Varanasi, Gorakhpur, Rae Bareli and Amethi etc. Some experts have opined that with Priyanka’s appointment, perhaps Congress has signaled that the party is willing and able to make a prompt, confident, and no-holds barred charge in UP. According to some experts, Priyanka Gandhi’s uncanny, almost hypnotizing resemblance to her grandmother late Indira Gandhi envisages a visual affirmation in the masses that she will walk the talk. Therefore, Priyanka’s plunge into active politics seems to be strategic move to strengthen Congress in UP and from that state to other parts of the country to provide a consolidated front. The BJP, having worn over 73 parliamentary seats in 2014 and registering a landslide victory in 2017 state assembly elections,continues to be a formidable force in UP. The Congress strategy of carving out a niche of its own in UP politics after being kept out of SP-BSP alliance was seen as an uphill task for the state unit of Congress and Priyanka’s plunge into the UP politics seems to have eased the situation in the wake of renewed enthusiasm in the rank and file of the party, that has already been in an upbeat mood after the crucial win in three Hindi states. Some experts have argued that being more articulated, true heir of the brand of her grandmother Indira Gandhi and her popularity among youth and women entail the potential of making Priyanka as a political asset for Congress. She is seen by many as a natural politician and an effective communicator. There is no doubting her ability to energize party workers and voters. Prashant Kishor, currently vice-president of Janata Dal-United and former poll strategist for the Congress in 2017, said in a recent TV interview that Priyanka Gandhi could have made a major difference in the 2017 Uttar Pradesh elections if she had decided to take the plunge into politics over three years ago. At a time when two scions of Nehru-Gandhi family — Rahul Gandhi and Priyanka Gandhi — are about to give or already giving the BJP a run for their money, the media reports about Varun Gandhi, son of late Sanjay Gandhi and an estranged member of the main Nehru-Gandhi clan, who had joined the BJP in 2012 and is currently BJP member of Lok Sabha from Sultanpur, joining the Congress is likely to add to the woes of the BJP in ensuing polls, if these media reports come true. He is reported to be unhappy with the BJP for being sidelined all these years. Reports also indicate that the Congress would nominate Varun Gandhi as its candidate from Sultanpur in UP. One critic has opined that Priyanka’s success or failure is contingent upon the two obvious parameters: (1) whether, and to what extent, she is able to dent the BJP’s upper caste vote bank;and (2) how she is able to impact the chances of the SP-BSP alliance. 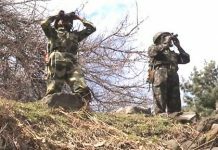 Preliminary answers to both questions will start becoming discernible as the campaign picks up in the ensuing weeks, and will be perceptible in the response of voters as well as in the reactions of the SP-BSP and BJP. According to some experts, the wind that Priyanka has brought to the Congress sails has seemingly unnerved the BJP to some extent. Buoyed by its recent victories in neighbouring Rajasthan, Madhya Pradesh, and Chhattisgarh, Congress hopes that Priyanka’s entry into the electoral fray will give the party a much-needed boost in Uttar Pradesh. This hope assumes added significance in the wake of media reports about simmering differences in Congress’s alliance with the RJD in Bihar and jolts in Andhra Pradesh where the TDP leadership is not giving much to the Congress. 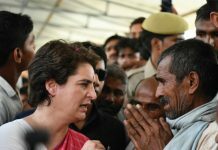 At this juncture, there arises questions as to what extent Priyanka Gandhi can enthuse and up the game in other states, apart from UP. Like cricket, politics is also a game where even the last ball can tilt the balance. However, for the time being it is the Congress that has altered the electoral game. During the past one year of taking over as president of Congress, Rahul Gandhi has rejuvenated the party, especially in the aftermath of wresting three states from the BJP in the Hindi heartland and with Priyanka joining active politics, the two Gandhis may give sleepless nights to the BJP top brass and observers also do not rule out the possibility of Varun Gandhi joining the main Gandhi clan. Previous articleIs Priyanka Gandhi’s debut in politics a masterstroke or much ado about nothing?